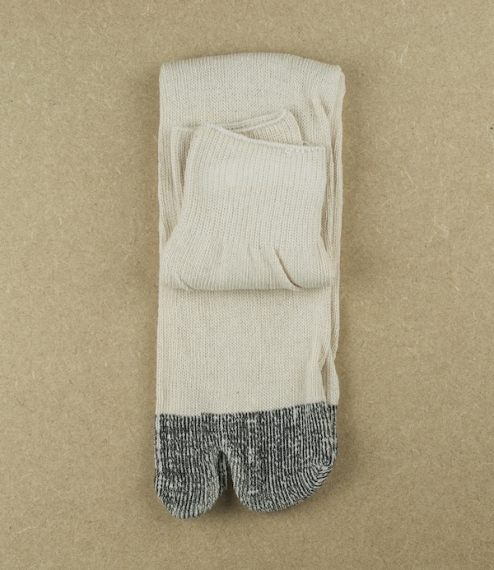 Gunsoku or soldiers socks. Made from cotton, with a divided big toe, and reinforced heel and toe sections. 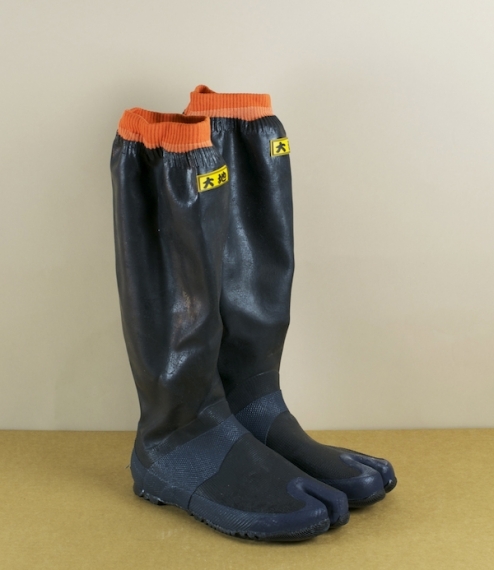 Intended for use with jika-tabi, Japanese split toe boots, as traditionally worn by Japanese soldiers, construction and agricultural workers. This style of footwear is renowned for its tactile contact with the ground, nimble grip, and enhanced balance and dexterity. 1 size.